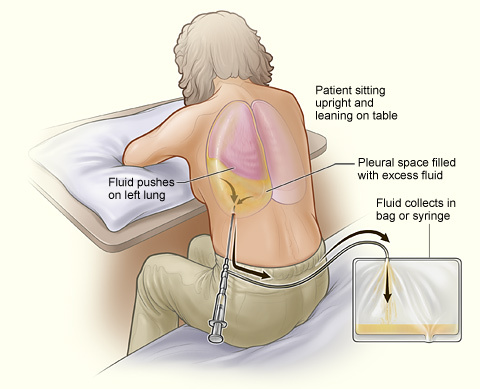 When I was a medical student many years ago, the thoracentesis was a common bedside procedure that was performed during your internal medicine clinical clerkship. Back in those days, although ultrasound technology was available, it was not routine to have a bedside ultrasound when performing a thoracentesis. Instead, you would percuss the back and determine the height of the fluid level. If you had poor physical exam skills, then you may not have inserted a needle into a lung. Today, many general internists and hospitalists in this country are learning how to use the portable ultrasound to perform safer bedside procedures. Central line placement, thoracentesis, and even paracentesis are now often performed under ultrasound guidance. If I were a patient needing a thoracentesis, I think I'd prefer ultrasound guidance, even if I had a simple, non-loculated effusion. Technology is improving the safety of medicine and I hope that more and more people are using technology appropriately to improve patient care.